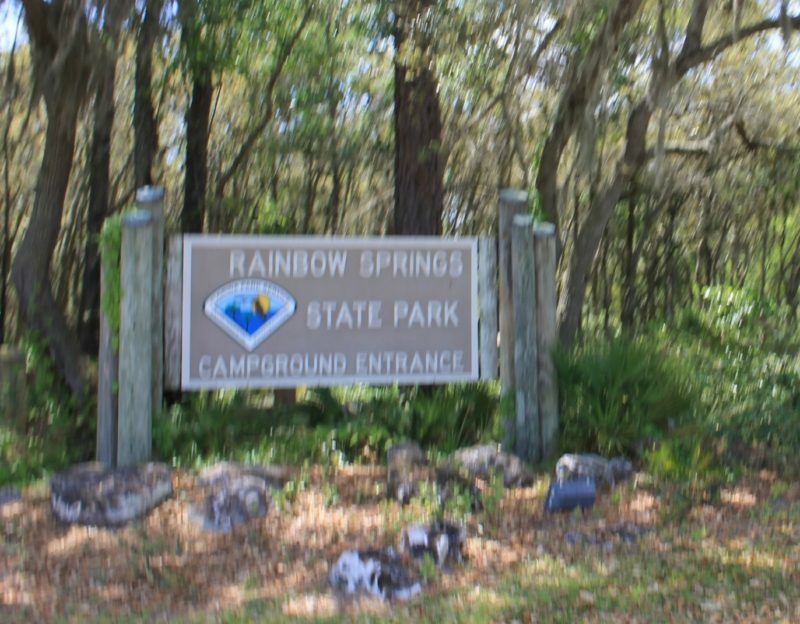 Rainbow Springs State Park is a very popular place to stay all year round. The campground has sewers on every site as well as the electric and water. The sites are mostly a mixture of crushed rock with a clothesline, fire pit, and picnic table and are quite spacious with foliage in between each one. There are three bathhouses and three separate loops of camping included a section just for tent campers. The campground Ranger station is open from 10:00 am to 5:00 pm only with a little store inside that sells drinks, snacks, camping supplies and such. There is a pool located behind this building but it has not been cleaned and filled yet. The campers have their own area to access the springs with picnic area and you can get in the water to canoe, kayak, tube and swim as well as fish. They have one washer and dryer at each bath house for $1.50 per load. The bathhouse is very nice with three shower stalls, lots of hot water and terrific water pressure. We could not get TV reception ourselves but the cell phone reception fluctuated between two to four bars. Not bad at all. This park is huge and spaced out. There are three separate areas and entrances. The main headsprings entrance is located on Highway 41 with a large parking area and separate fees to enter at $2.00 per person. We did not have time to explore this area. They have another entrance for those who want to tube down the river and that is generally opened only on the weekends most of the year. That is located off 81st Place Road between Highway 484 and Highway 40. 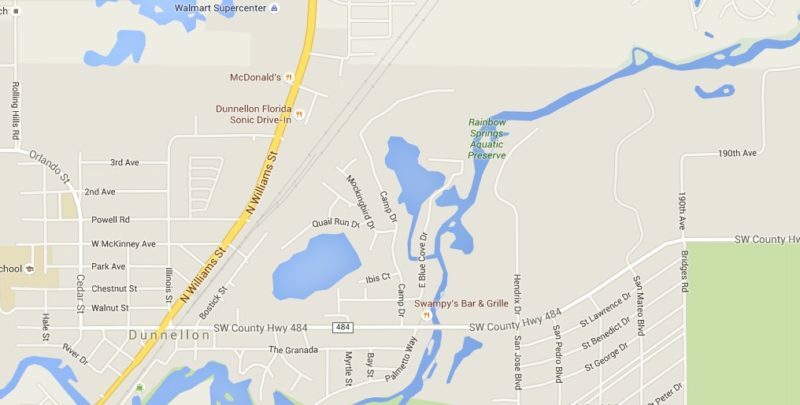 The campground is located a mile down the road from there. They also have a tram service on weekends that takes you between the campground and the tubing entrance area and back again. Of course, there is a fee for that as well. To get into the tubing entrance you have to pay $5 per car and then $10.60 per person to tube down the river. We spent four nights in the park but two of those days we were at the Boom Town Festival working so we didn’t have a lot of time to explore. $2.00 per person at the headsprings entrance and $5.00 per vehicle, up to eight people at the tube entrance. Children under six years old are free. Tubing Fee (Separate from the park entrance fee at the tube entrance): $10.60 per person (includes tax, tube and tram service to and from the parking area with your tube that must be under 60” in any dimension or if you use our tube). $30.00 per night, plus tax. Includes water, sewer and electricity. There are two covered pavilions available for reservation. Beyond the normal reservation fee (see below) each pavilion has a $30 clean-up deposit due on the day of reservation. The deposit will be returned after inspection upon departure. $75.00 plus tax: Felburn Pavilion seats up to 75 people on plastic chairs and tables. The regular $2.00 admission/person still applies. $75.00 plus tax: Hickory Pavilion has 14 picnic tables. The regular $2.00 admission/person still applies.